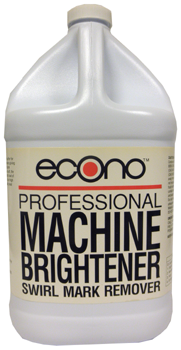 Econo Machine Brightener™ is an advanced buffing, swirl and mark remover. 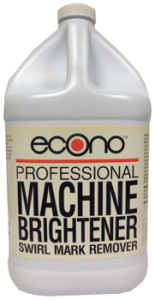 It contains no rouge, pumice or abrasives, and is especially effective on dark colors. 1. Apply with buffer or by hand with damp cloth.